The Mama Elephant Freestyle Florals stamp set has the most beautiful collection of flowers and leaves and tiny buds and vines. I have so many ideas for this set and can't wait to use it again! On today's card, I colored the flowers with copic markers and layered them together to look like a spring bouquet. Here are the details on how I made this card. The folded card base is 5 1/4 x 4 1/2". I cut a panel the same size from watercolor paper. 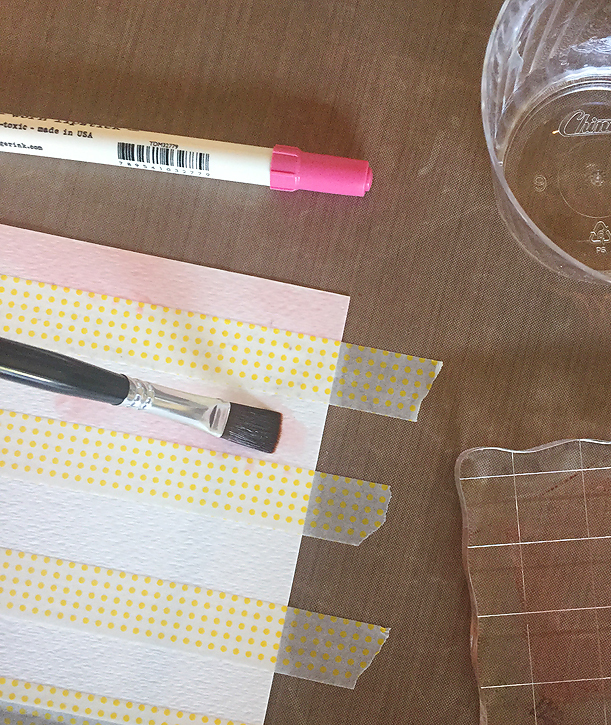 I used washi tape that is 3/4" wide to mask off stripes on the watercolor paper and painted with a distress marker in worn lipstick. I first scribbled the marker on an acrylic block and then picked up the ink with a wet paintbrush. 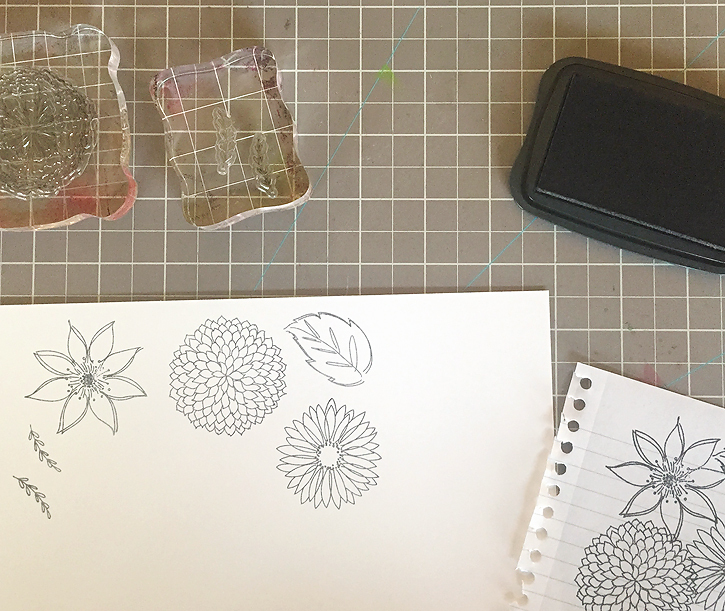 I stamped the flowers first on scratch paper and then on neenah solar white 80 lb cardstock with memento tuxedo black ink so that the flower outlines were a subtle grey. 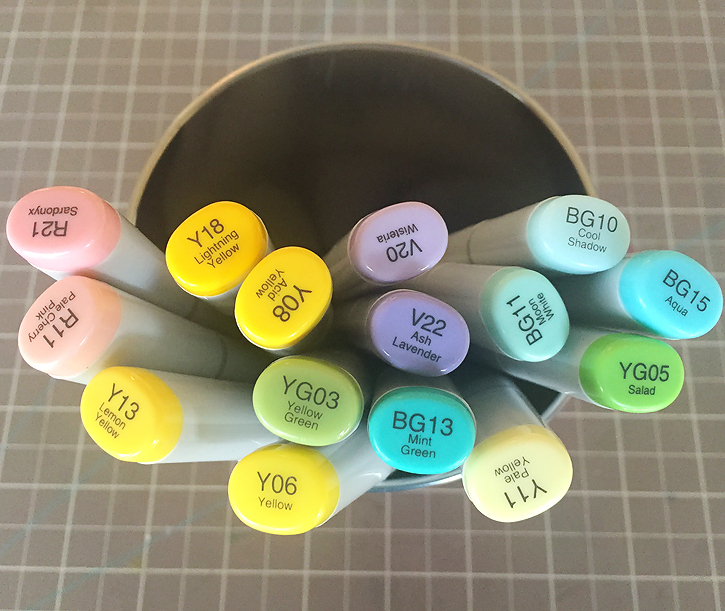 I cut the stamped images with their corresponding dies and colored them with copic markers in shades of pink, yellow, lavender, teal and green. I stamped a sentiment onto the watercolor panel and attached it to the card base with a small amount of adhesive to hold it in place. Then I sewed around the edges with my sewing machine. I layered the flowers as shown below. Most flowers were attached with dot roller adhesive. The lavender flower was attached with foam tape, and the pink flower was attached with foam dots so that they would be on different levels. 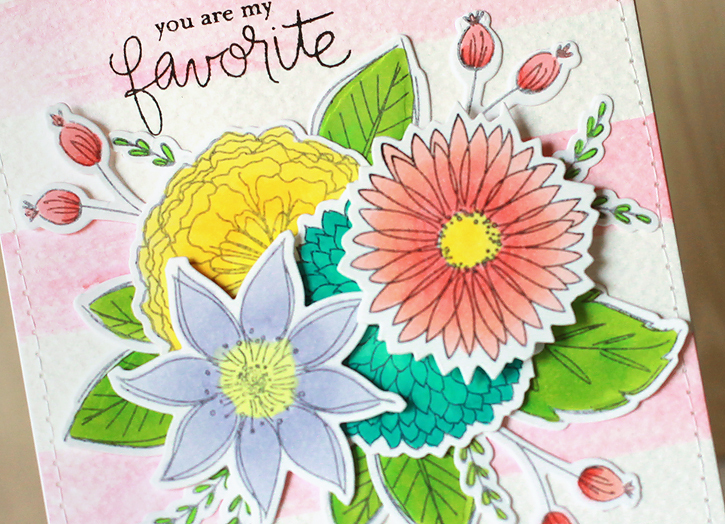 If you'd like to see more examples of cards with flowers, check out my blog posts here, here and here. I'm linking up today with the Simon Wednesday Challenge where you'll find lots of springtime inspiration this week. If you'd like to receive my posts in your inbox, I've added a "follow by email" feature in my sidebar near the top. Or you can follow through Bloglovin'. Hope you all have a lovely day! Absolutely GORGEOUS!! 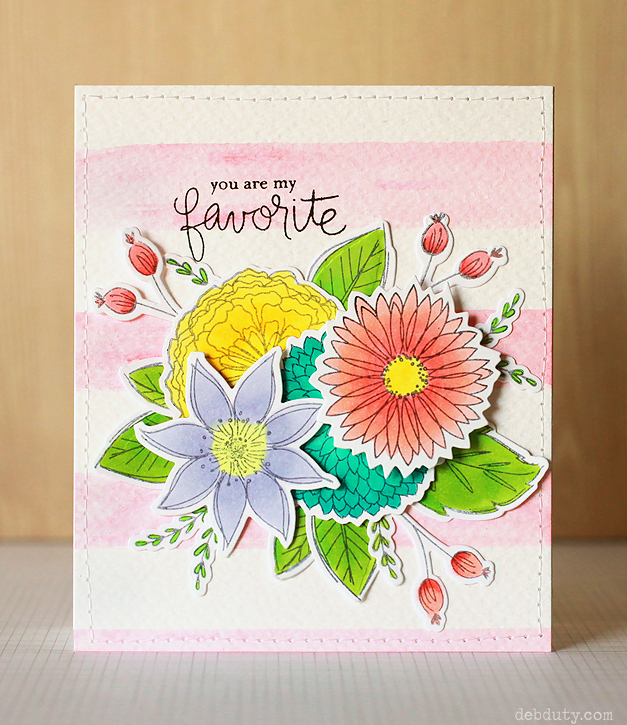 I adore the light coloring and layering that you did! So fresh and perfect! Thanks so much for joining Simon Says Stamp Wednesday Easter/Spring Pinterest Challenge! This is beautiful! I really love that background! Thanks so much for jumping right in and joining the Simon Says Stamp Wednesday challenge this week! Beautiful card. I am really loving that floral stamp set, it seems so versatile. Wow Deb, this is beautiful! I love those stripes and your stitching too along with your gorgeous stamping.